A ‘paperless NHS’ so clinicians can access patient records at the point of care is undoubtedly the way forward. However, with the introduction of electronic patient data comes new security risks. Although necessary, stringent security rules can sometimes be inhibitive. 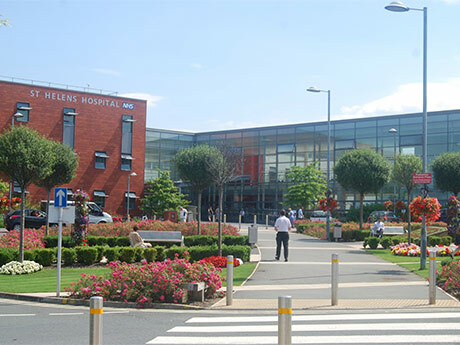 St Helens & Knowsley Health Informatics wanted to eliminate barriers that slowed down clinical workflows without compromising any vital security. St Helens & Knowsley Health Informatics Service (StHK HIS) supports many NHS organisations including two acute teaching hospitals, 85 GP surgeries and a number of community and mental healthcare providers, with a user base of over 14,000 individuals. StHK HIS has a track record for innovation and was one of the first organisations of its kind to move to a paperless environment and adopt Electronic Patient Records (EPRs) and a scan on-demand Electronic Document Management system (EDM). To improve the speed and ease of accessing data across primary, secondary, and community environments without compromising security. ITHealth implemented a single sign-on solution leveraging the NHS smartcard to improve clinical workflows and ultimately patient care. A number of systems such as bed management, electronic order communications and e-discharge have been deployed to achieve this goal and have so far resulted in significant financial savings, with the electronic document management system alone saving £3.2 million over five years. The vision was to create an interconnected environment whereby patient records could be accessed and read across different care environments – primary, secondary, and community based – increasing the amount of information flowing through the HIS and providing clinicians with the data they need at the point of care. This need was fundamental to ensure StHK HIS could provide an NHS-centric service offering patients a higher quality and safer patient experience. To assist in this task, StHK HIS consulted its technology partner, ITHealth, an expert in the delivery of secure access management solutions to NHS organisations. ITHealth had extensive past experience of successfully deploying healthcare IT and workflow solutions at NHS organisations including Royal Liverpool, Broadgreen University Hospitals NHS Trust, and The Newcastle upon Tyne Hospitals NHS Foundation Trust to name a few. We want staff to be treating patients, not tackling IT issues...with Imprivata OneSign we are seeing significant gains in staff productivity and end-user satisfaction. To secure access to patient data and improve care provider efficiency, StHK HIS worked with ITHealth to roll-out Imprivata OneSign. An initial procurement of 5,000 licenses allowed StHK HIS to take a clinical workflow centric approach to security, placing an emphasis on keeping data flowing between authorised users as and when it is needed, regardless of their location. ITHealth worked with StHK HIS to classify workstations across the primary and secondary care sites into two groups: on-ward workstations were marked as Red and do not allow staff to access home files or save work; off-ward workstations were marked as Blue and offer greater flexibility to single-users/clinical staff that are accessing data from traditional office locations. The Blue workstations provide access to additional applications such as Microsoft Office and are also used within GP practices. The initial rollout prioritised Red workstations and began in August 2012. Each user was assigned the CfH Smartcard for second factor authentication which also allows clinicians quick access to shared workstations in busy on-ward environments like A&E where fast user switching is imperative. To date, the solution has been rolled out across 90% of the StHK HIS’s GP practices with the remaining 10% expected to be operational in the coming weeks. This means that 77 GPs serving over 450,000 patients now benefit from secure and streamlined access to their applications, resulting in an improved workflow which enables them to spend more time with patients. The secondary care environments have also widely deployed the solution; all nursing workstations, 27 wards, the operating theatres and maternity unit at Whiston Hospital are benefitting from improved workflows and security as a result of OneSign. Moving forward, the HIS plans to extend Imprivata OneSign to support strong authentication on tablets and other mobile devices. “With Imprivata OneSign, we have an impressive solution for accessing many different systems quickly and easily, without having to log in to them each, repeatedly throughout our shifts. In my opinion, Imprivata OneSign has been one of the biggest advancements in IT at the Trust in the last ten years”, said Dr Peter Williams, Clinical Director for Acute Medicine, Whiston Hospital. We were finding that the number of login credentials to different applications was becoming a significant issue and detracting from the quality of care we could offer our patients. The deployment of Imprivata OneSign by StHK HIS has enabled clinicians to quickly and securely access electronic patient data, whether that be from inside the hospital buildings or from primary care practices. As the deployment extends to cover community and mental healthcare, the solution will support a fully streamlined and connected network of users, allowing StHK HIS to achieve its goal of placing quality care at the very core of IT enablement. Streamlined and secure access to electronic patient data across primary and secondary services has been further supported by a reduction in the amount of time that users spend authenticating to clinical applications each day. The log on process was cited as a key pain point for clinical users at the outset of the project but now, with OneSign in place, these users are saving valuable time each day through fast and secure authentication. “At StHK HIS, we have the vision of creating a fully paperless patient record system with the aim to empower clinicians with the information they need at the point of care, while ensuring data can be efficiently managed between those who need it.” said Neil Darvill, Director of Informatics, StHK HIS. It’s a great example of technology fitting around and enabling natural workflows - enabling care, rather than dictating how clinicians go about their work.